Kiwi jockey James McDonald has a golden opportunity to win Australasia’s greatest race on Tuesday when he partners Yucatan in the A$7 million Gr.1 Lexus Melbourne Cup (3200m). 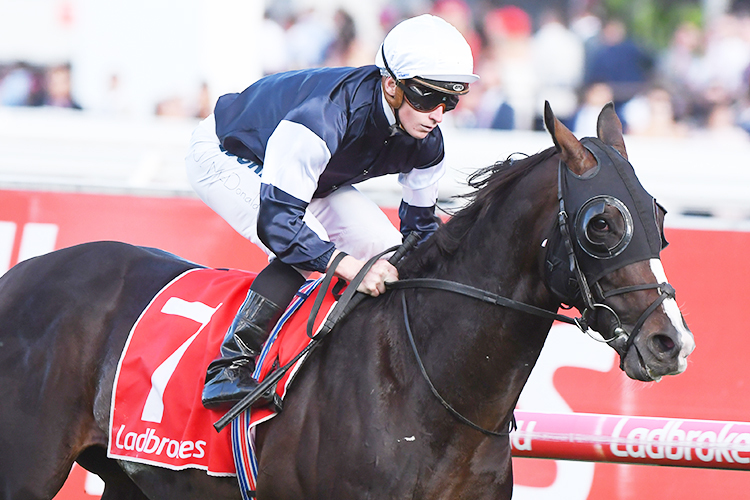 The Aidan O’Brien-trained runner is a $5.50-favourite for the race that stops a nation following a dominant victory in the Gr.2 Herbert Power Stakes (2400m) at Caulfield last month and has all the attributes to provide his 26-year-old jockey with a breakthrough Cup success. Victory in the two-mile feature would be extra special for the boy from Cambridge, who took all before him as an apprentice jockey in New Zealand before shooting to prominence as a star of the international jockey ranks. A two-time Sydney jockeys' premiership winner, a Golden Slipper triumph on Mossfun and a contract as the retained rider for Godolphin’s Australian operation, the world was at McDonald’s feet. But his world came crashing down following an 18 month ban from racing for a betting misdemeanor which resulted in him being off the scene between November 2016 and May of this year. The time away from racing has given McDonald a greater perspective on life and he has returned to the saddle in devastating form. “I was pretty driven to make an impact when I came back, and I am more motivated now than I have ever been,” McDonald said. “I want to get as much success as possible and source the best rides. McDonald will be having his fifth ride in the Melbourne Cup on Tuesday and hopes he can improve on his placed efforts with Fiorente (second, 2012) and Hartnell (third, 2016). “It’s really satisfying to be on a live chance in the race and he’s with the best possible team,” McDonald said. McDonald will have to be at the top of his game after Yucatan drew barrier 23 in the 24-horse field. The last horse to triumph from the wide barrier was mudlark Van der Hum in 1976. But the subsequent performance of the two horses that filled the placings behind Yucatan in the Herbert Power Stakes has given McDonald greater reason to be confident. “The horse that won the Lexus Stakes (A Prince Of Arran), I could have beaten it by six or eight lengths in the Herbert Power so it was satisfying to see the two placegetters run so well in the Lexus. “I would have been a bit worried if A Prince Of Arran and Brimham Rocks had finished tailed-off, but they have run first and second, so the form is franked and it is all good signs. “The wide draw of 23 is not really a big deal. He’s a European horse who is normally slow into gear anyway, so it gives me a bit of time to sort myself out and get in a position where it’s going to be winnable. McDonald has ridden the winners of 36 Group One races and produced a gem to land Saturday’s Gr.1 Empire Rose Stakes (1600m) on the New Zealand-bred and owned Shillelagh. He is delighted to be aboard the leading chance in the Melbourne Cup and said it was just great to be involved in the race this year. “Obviously I wasn’t here last year competing in so this year is extra special. I appreciate it a lot more and it beats sitting on the sidelines.